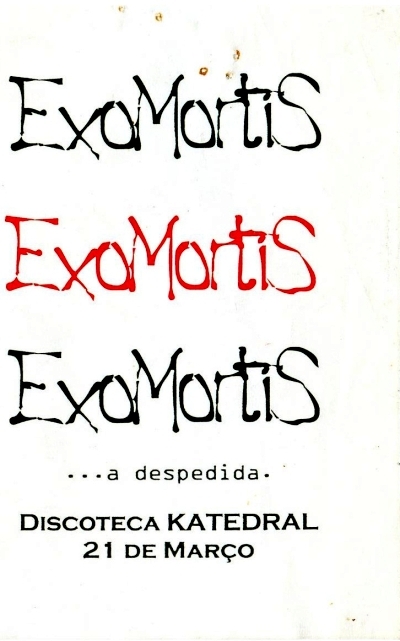 Exomortis were from Leiria. 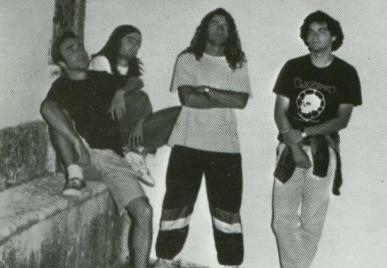 Formed in 1991 with the line up of Joaquim Jorge vocals, Miguel Felicia drums, Luis Filipe bass and guitarrists Sérgio Cardoso and Paulo Ascenso. 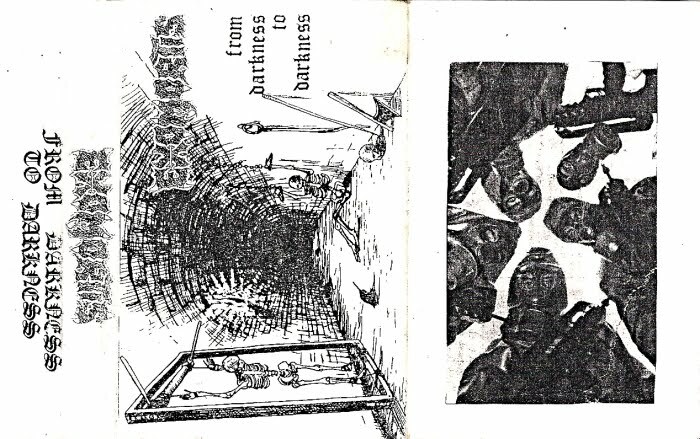 They would record their first demo tape entitled "From Darkness to Darkness" in 1991. 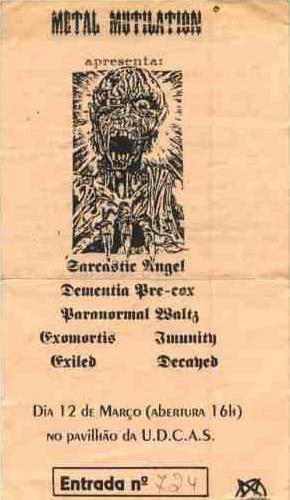 Composed of 6 tracks: "Intro / Ancient Tomb", "Petrified Pleasures", "A Tribute to Thrash (instrumental)", "The Abscess", "Enslavement of Obscurity" and "Psychotic Aberrance". The track "Reflections of The Last Memory" is released in the double LP compilation "The Birth of a Tragedy" MTM records, in 1992. 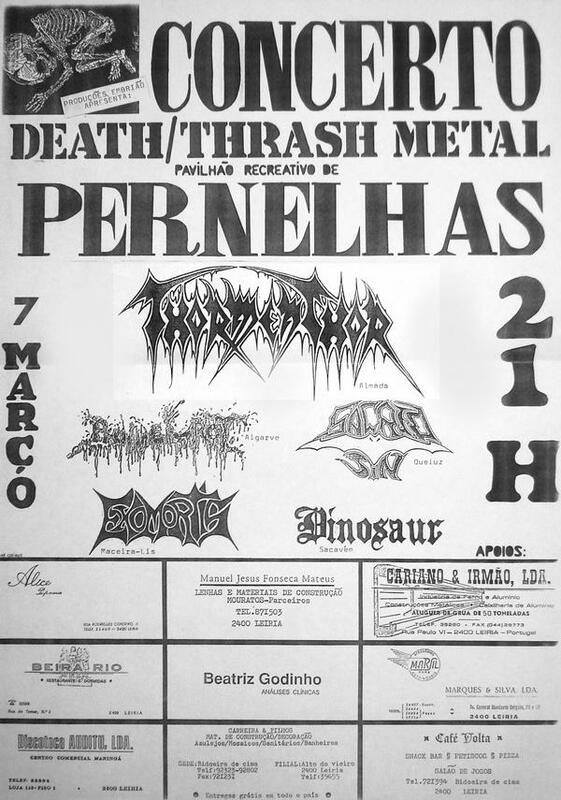 Exomortis played at the Pernelhas festival, March 7th 1992. 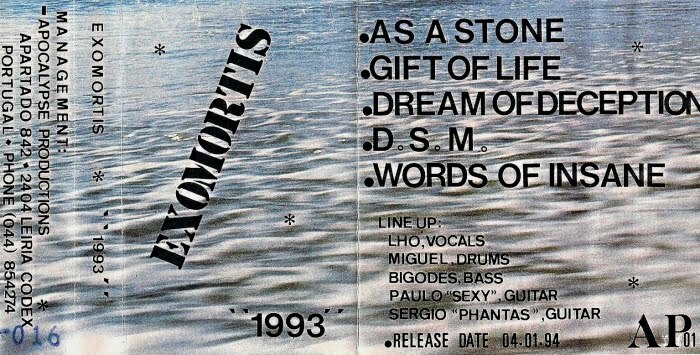 A 2nd demo is recorded in late 1993, with the songs "As a Stone", "Gift of Life", "Dream of Deception", "D.S.M." 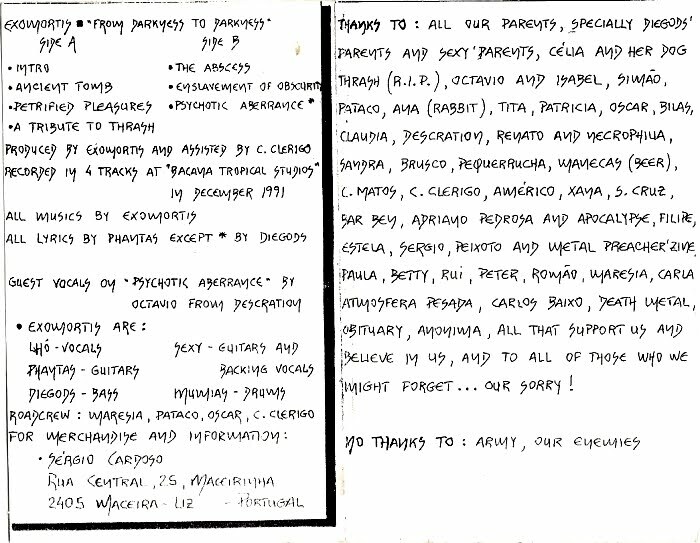 and "Words of Insane". 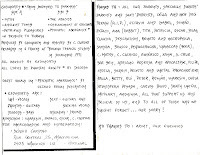 Eventually the group changed line up, entering Fernando Silva vocals, Sérgio Cardoso bass and Fernando Silva guitar.